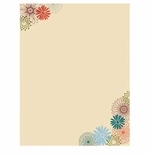 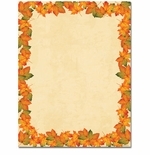 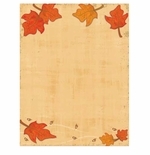 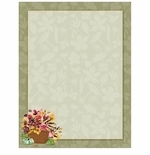 Pick the perfect autumn themed paper for your next Fall, Harvest Festival, Thanksgiving, or Autumn party, BBQ, or event. 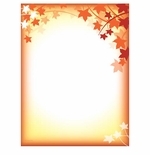 Create beautiful flyers, invitations, or announcements, right from your computer, using your laser printer, ink jet printer, or copier. 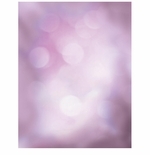 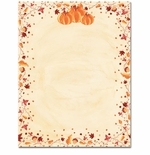 We also carry coordinating #10 envelopes, if you are planning on mailing your piece. 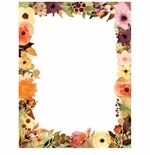 And, when you purchase in larger quantities you save money with our bulk discount program! 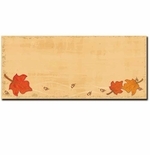 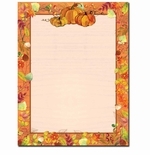 Check out our line of Autumn and Fall related computer and printer paper stocks! 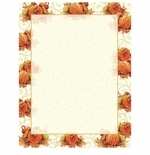 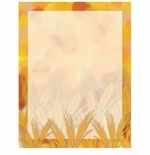 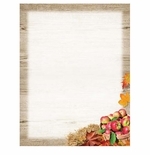 Our 8.5" x 11" Thanksgiving themed computer printer paper is perfect for creating flyers or invitations to your next Bar-B-Q, Party, holiday bash, fall festival, hay ride, and much more. 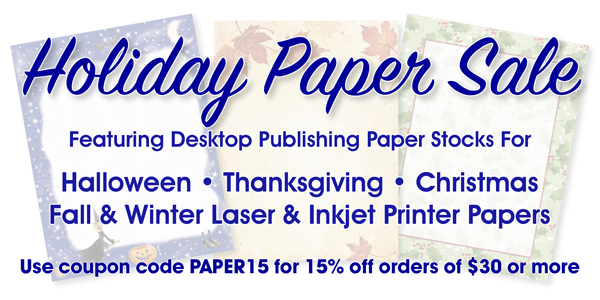 Fall means time for everything from football parties to end of season parties, and our line of papers is there to help you design beautiful flyers and invitations for them. 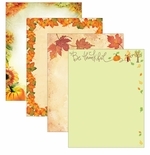 Our beautiful fall and autumn colored papers will stand out from the rest of the mail your client, families or friends get, bringing instant attention to your mailing. 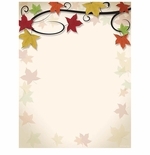 Whatever your needs this Fall, we have you covered!